Long before Wedding Crashers’ Chazz approved it, A Christmas Story’s Randy refused it. Not that I’d ever once tried it. But from the first time I watched that scene (1980-something in a space that’s now my favorite hometown bistro, even if then only a humble Video Express), Randy and I were in unsophisticated kid palate solidarity. No thanks. No way. No how. Until, thanks to a certain epic movie I might be known to quote often, meatloaf became suddenly cool. That, and I needed a new dinner rotation to break up the old standbys. Ready to give Ma a run for her meatloaf money, I chose this one, courtesy Inspired Taste. I’ve made it twice now, once with breadcrumbs, once with quinoa. Equally awesome both ways, with virtually the same texture. It also makes eight generous servings, feeding us not only for dinner, but several weekday lunches as well. If you’ve got the time and energy to put in a little extra prep (and longer than normal cooking time, which for me is like 10 minutes), this is the recipe to try. The only meatloaf worthy of Will Ferrell shouting in his Hef-inspired bathrobe. Heat oil in a large skillet over medium-low heat. Add the onion and cook, stirring occasionally, until softened; about 5 minutes. Add the garlic and cook for 1 minute. Stir in the mushrooms and cook until liquid boils away (about 10 minutes). Transfer the onions and mushrooms to a large bowl, and then stir in the Worcestershire sauce and 3 tablespoons of ketchup. Set aside to cool for 5 minutes. 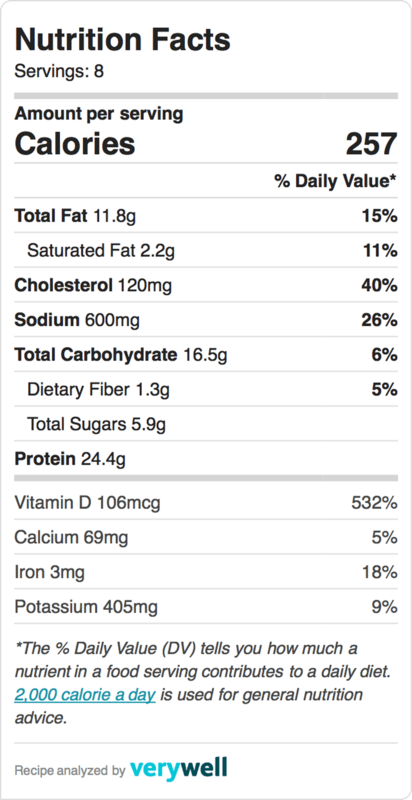 Combine breadcrumbs/quinoa, milk and eggs into a small bowl. Stir the breadcrumb mixture and the eggs into the mushrooms and onions. Using a fork or your hands, add the turkey, seasoning with salt and pepper to taste. The mixture will be very wet. Form the meatloaf into a 9-inch by 5-inch oval in the middle of a prepared baking pan. Spread the remaining 4 tablespoons of ketchup on top. Bake for 50 minutes. 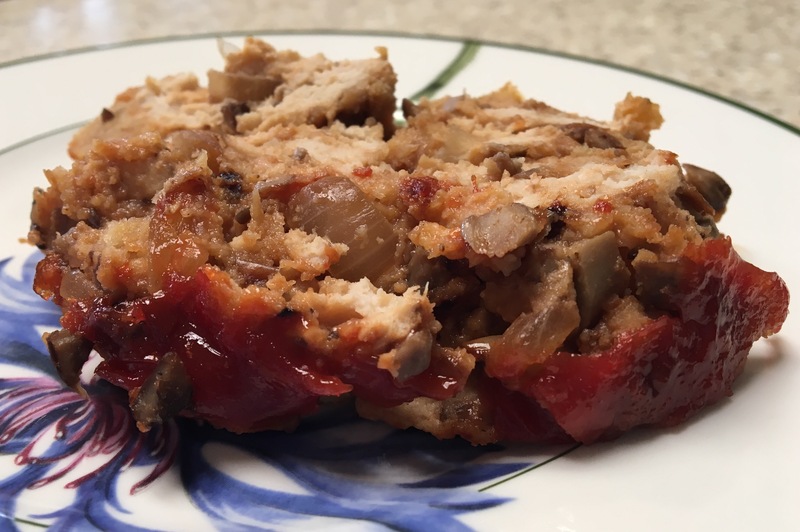 MFP entry: Mushroom Turkey Meatloaf, 1 serving (8 servings per loaf), 257 cals.